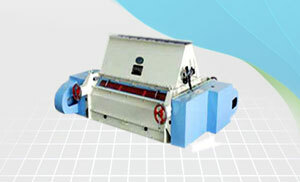 The Roll Crumbler Machine, which we provide, is acclaimed for its superior quality. We are comfortable with traditional payment options as well as the modern ones. Our payment related policies are client friendly. Our payment procedures are transparent, safe, and secure. This is due to our stern quality checks that we are capable of delivering the best in class range of products. Even the raw material and inputs used undergo several quality inspections to ensure complete quality.